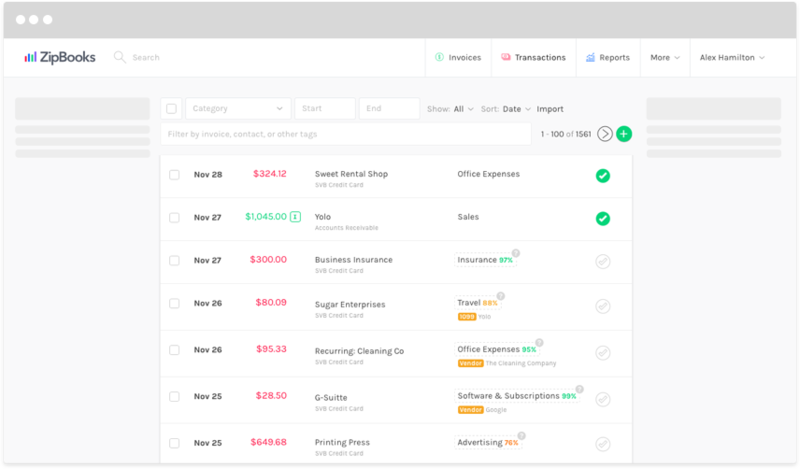 We’ve been working hard to create a smarter experience—something that will save you time and help the bookkeeping process go more smoothly. The more you work in the application, the more ZipBooks learns about your habits, the way you record transactions, and how you categorize each entry. We then combine your work with research from other users and accounting best practices. When ZipBooks imports your bank transactions, we will categorize them, and give you a confidence score based on our accounting expertise and your own history. How long does it usually take you to categorize hundreds of transactions every month? That’s the time you’ll now be saving yourself! If you find that something’s categorized wrong, simply make a correction, and ZipBooks will learn from its mistakes, like we all (hopefully) do! If you’re currently on the Smarter or Sophisticated plan, give it a try and let us know what you think! Based on our initial rollout, users saved an average of 1.7 hours each month on bookkeeping thanks to auto-categorization. Well, that’s it for now, ZipBookers. We’re working on more great features and improvements every day, so we’ll catch you on the next update!